Bharat Sanchar Nigam Limited (BSNL) has announced yet another tariff revision from 1st November 2015 onwards. As per the latest information, the PSU will be revising its 3G/2G prepaid data STVs bundled with Mobile TV packs. The latest revision will be implemented on PAN India basis and the validity of almost all existing Mobile TV packs will be reduced. 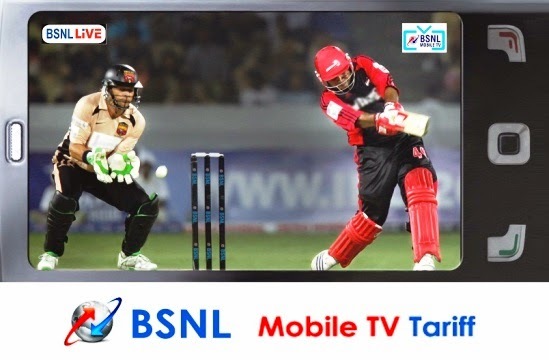 The existing 450 MB bundled data usage of mobile TV pack worth Rs 103 will be increased to 1 GB. All other terms and conditions will remain the same. The above tariff will be applicable with effect from 01.11.2015 onwards on PAN India basis. Dear readers, please share your views and opinions about these latest tariff revisions by BSNL via comments with us.